Although a balanced diet and exercise are the main ways to boost your physical appearance, some businessmen and businesswomen are looking to non-invasive procedures as an option to take off a few years. “Unfortunately, as people age, they are perceived as less energetic and less effective,” said Kristen Kuk, physician at Aesthetics by Ridgeview Dermatology. According to a study from the American Society of Plastic Surgeons, almost three quarters of women agree that a youthful appearance contributes to getting a job, being promoted, and keeping clients. “I have often seen women in my practice who are specifically seeking procedures to help them appear more youthful because they feel they have been passed over for promotions or positions they are well-qualified for and lost these advancements to younger, less experienced colleagues,” Kuk said. She says self-confidence plays a key role in being competent and efficient, and, for many people, their appearance is tied to their self-confidence. Instead of taking the leap to plastic surgery, there are a number of procedures, treatments and products that can help improve problem areas. Peels, for example, work well for people with acne, fine lines, wrinkles or hyperpigmentation. Stephanie Wright, Master Aesthetician at Wyndurst Aesthetics, explained that peels are one of their common non-invasive procedures. Another popular non-invasive procedure is Microneedling, which promotes the skin’s production of elastin and collagen. “[These] are two substances that are responsible for the tone and elasticity of our skin, but whose production decreases significantly with age,” Kuk said. 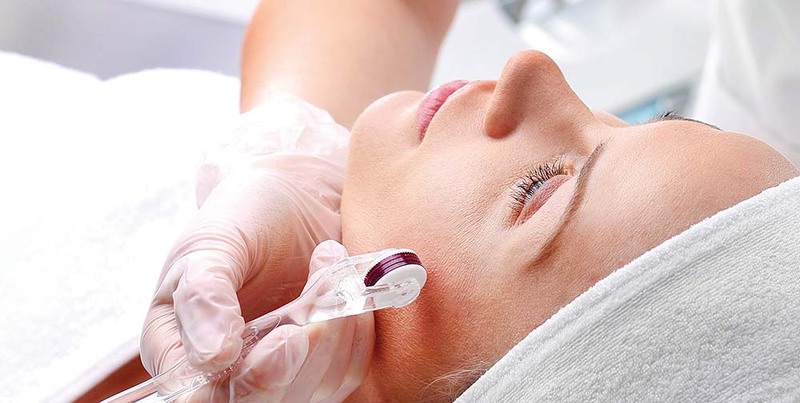 “The procedure involves passing a microneedling pen over the face slowly, while tiny needles go in and out of the skin at a very shallow depth.” Although this procedure might sound painful, it actually feels like an electric toothbrush being passed over your face. “Microneedling is good for patients with scarring and/or fine lines and wrinkles,” Kuk said. Botox, which is an injection that allows certain muscles in the face to relax, is another option. “This relaxation of the muscles helps to smooth out wrinkles over time and can prevent the development of new wrinkles,” Kuk said. Similar to Botox, Dermal fillers can improve lines and wrinkles. Wright can give her first-hand experience with using Botox and how it improved her appearance. Another common complaint is neck fullness, otherwise known as a “double chin,” which can be associated with weight gain but not always. “There are two nonsurgical procedures that can help with this issue,” Kuk said. “Kybella is an injectable product that causes the fat cells in the neck to undergo cell death. It is done via a series of small injections in the area of fullness and takes only a few minutes. A second option is CoolSculpting, which can be done on the neck to reduce fat cells by lowering their temperature to the point that they undergo cell death.” CoolSculpting can be done in other areas of the body as well, such as the abdomen, back, upper arms, inner thighs and outer thighs. Wright says in addition to cosmetic procedures, they can also help improve a person’s appearance through their full weight loss center. “This helps patients internally with energy, confidence and feeling empowered with achieving and maintaining a goal for their health. Overall, weight loss is an additional service to help in every area of our life, including being available to do the best we can for our jobs,” she said. Kuk says because the decision to have an aesthetic procedure done is a highly personal choice, a consultation is crucial. During a cosmetic consult, they develop an individualized plan that fits the needs and desires of each patient.